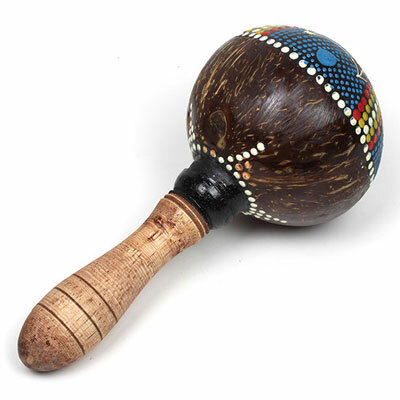 These colourful shakers are made by mounting a polished coconut shell full of beads onto a turned wooden handle. Each beautiful piece has been hand painted with a lovely sunny face design. Approx Size: Length: 23 cm, Diameter: 9 cm.